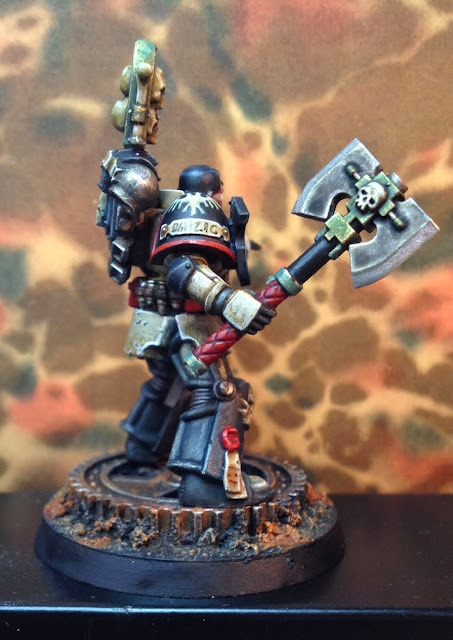 I have had some time for hobbying though, and that's been spent on creating two new truescale Mortifactor marines ( on none other than Inq 28s Commisar Molotovs suggestion) tthat'll serve as NPC characters in a game of inquisimunda at Warhammer World this month. More on this later on. 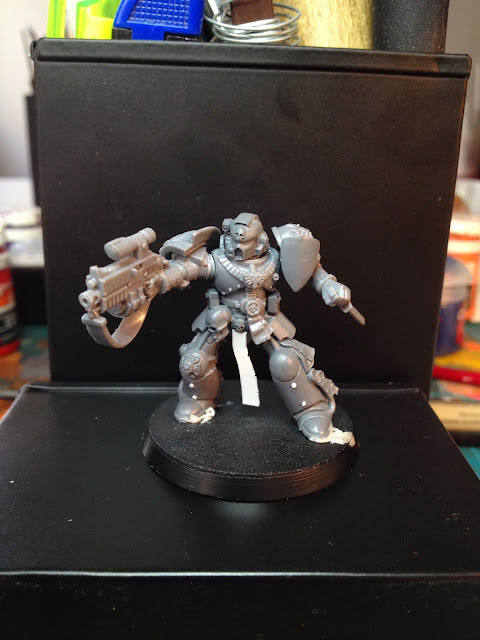 I've gone completely nuts for these truescale marines lately (as you might have noticed) and are also working on two other ones - a Deathwatch killteam member and an Iron Hand marine of some sort. 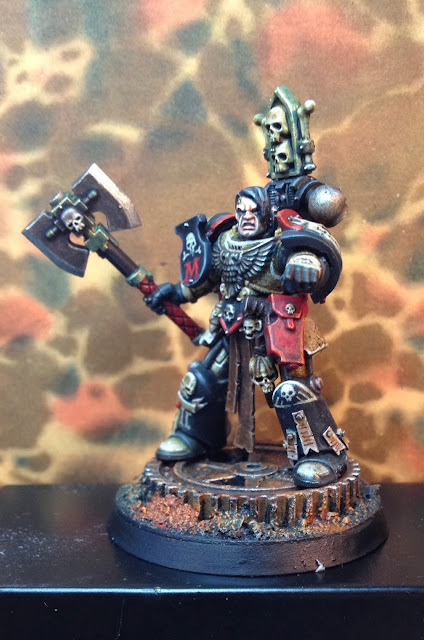 Sergeant Danzig is great, and so is the second Mortificator, despite the lack of paint. I'm just not sure about the hairdo of the Sergeant. The only minor quibble that I have is that a fringe looks a bit out of place on an Astartes (at least in my mind it does). 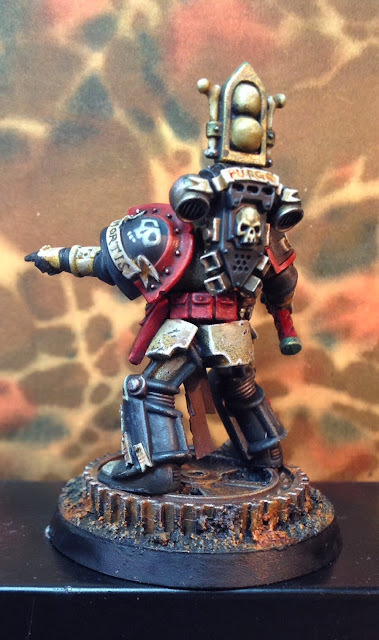 Anyway, I'm looking forward to seeing the other two Astartes too, especially the Iron Hand. In hindsight a different head might have been better, but removing the head without damaging the mini turned out to be impossible... Oh well. No, Danzig head works wonderfully. 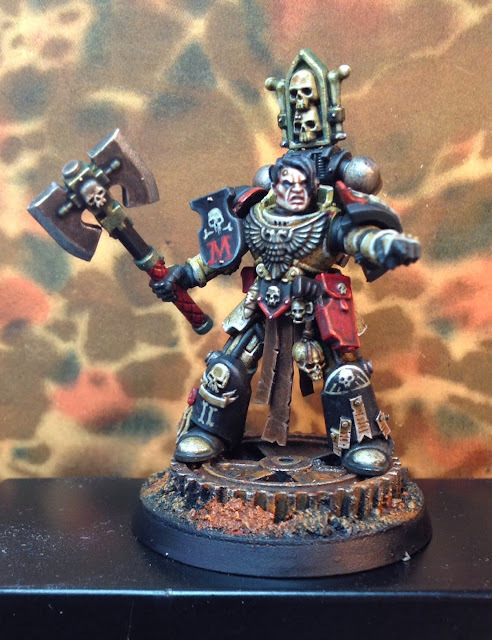 Nice change from silly Blood Angels emo and Dark angels buzzcuts.